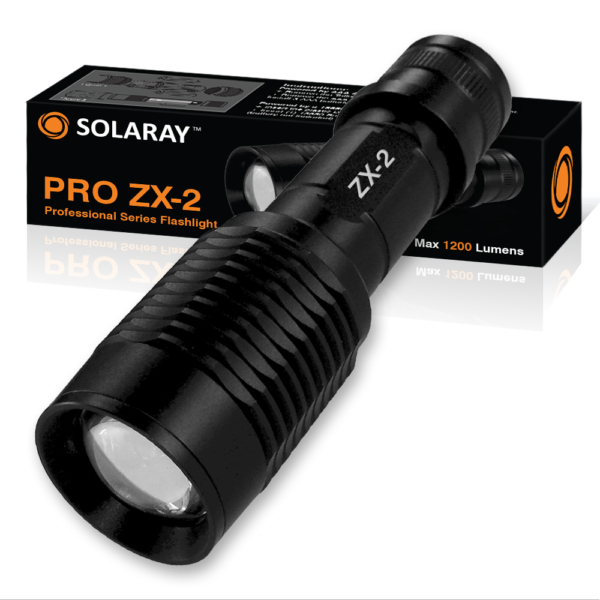 The ZX-1 LED Flashlight uses an ultra-bright, U.S. made CREE XML-T6 powered LED chip. 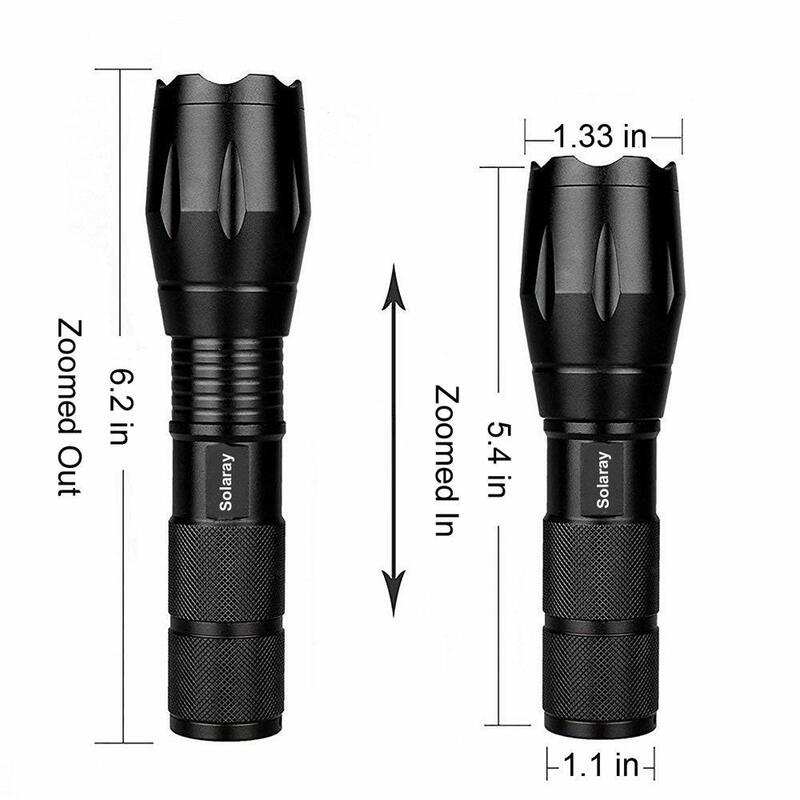 This allows our flashlight to deliver up to ~1,200 lumens worth of illumination. 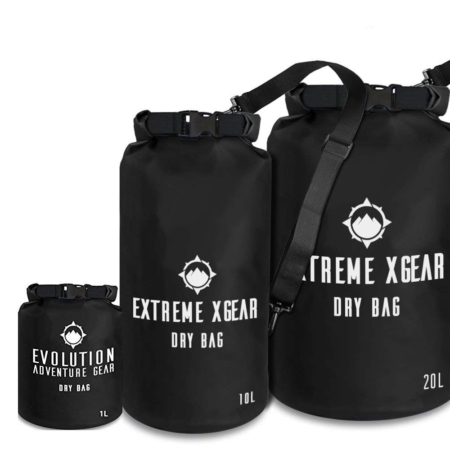 Its lightweight yet sturdy aluminum design makes it ideal for use in rugged situations. Its small size makes it perfect for keeping in your car’s center console or inside your purse. 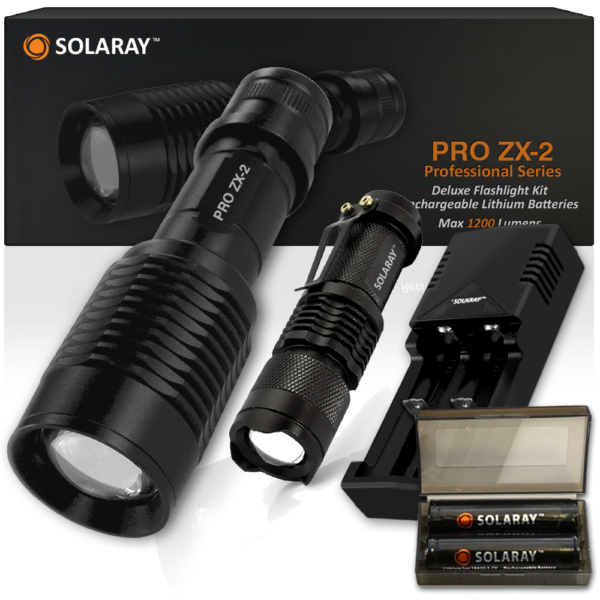 Besides the three normal illumination modes, high, mid, & low, the ZX-1 has two additional light modes. 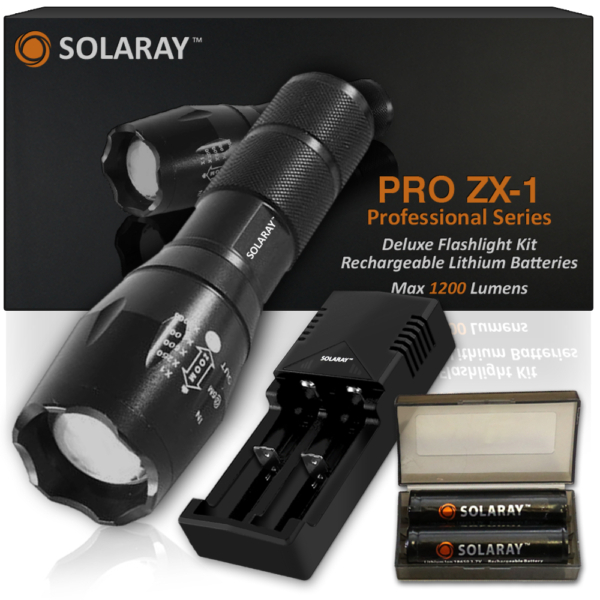 The first is a flash strobe mode for self-defense. 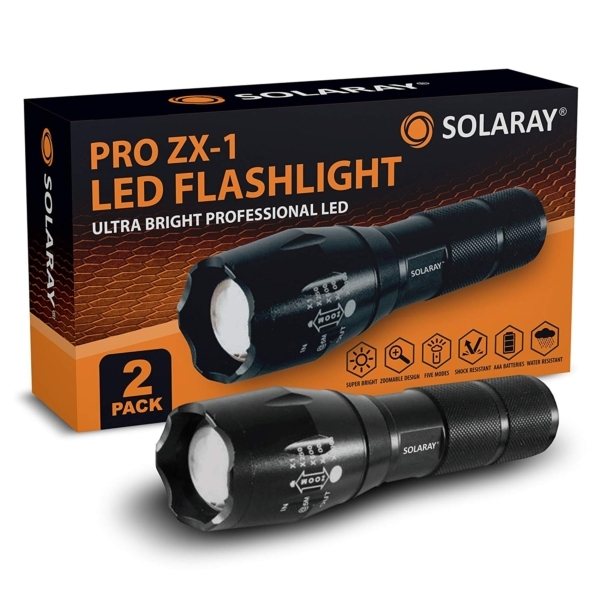 Excellent for blinding an attacker long enough to allow for escape. The second is a S.O.S. strobe mode for emergencies. Good for nighttime emergencies when you have no other means to signal rescuers. 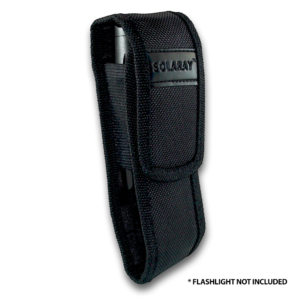 Our SOLARAY flashlights use a memory mode selector to insure that the flashlight is always at the setting you prefer. Just double-click the power button until you reach the mode you want and it will stay at that setting every time you turn the flashlight back on. All SOLARAY products come with a 6 month limited warranty that covers all manufacturer’s defects or missing items at purchase. So what are you waiting for? Click “Add to Cart” now. 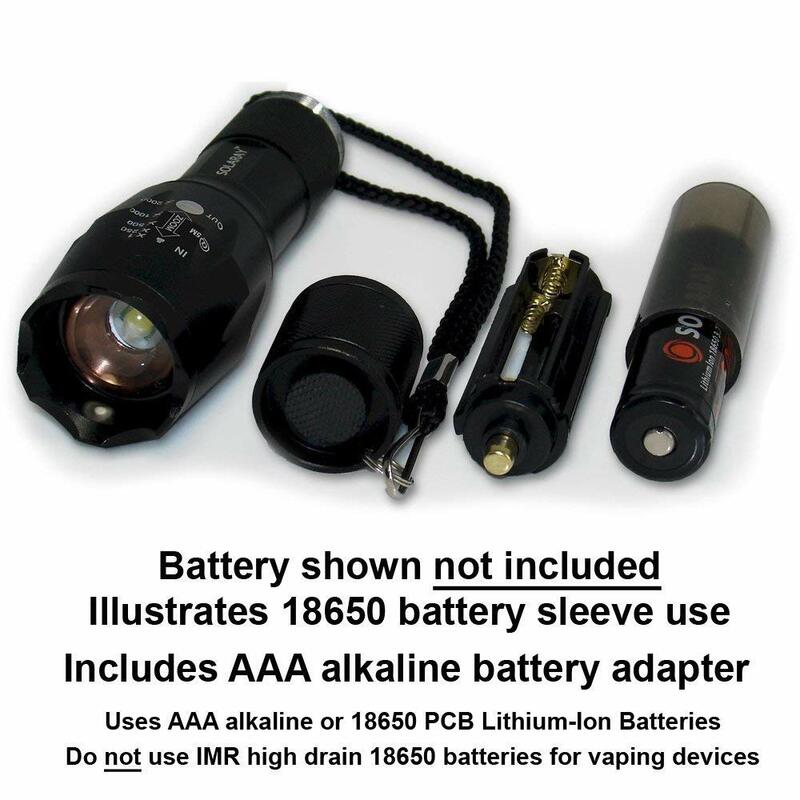 Add a 2 pack of 18650 rechargeable li-ion batteries to your order to take advantage of our Free Shipping for purchases over $25.